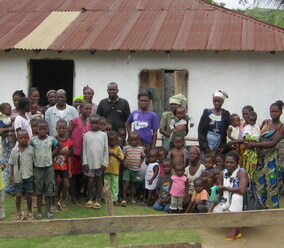 KPAYTUO VILLAGE FEEDING CENTER is making a REMARKABLE DIFFERENCE in the lives of MALNOURISHED CHILDREN in Nimba County, Liberia. 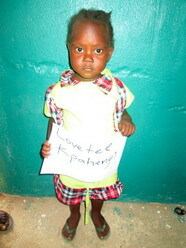 God Gift and Lovetee are among the 24 children who are presently benefiting from the feeding program. 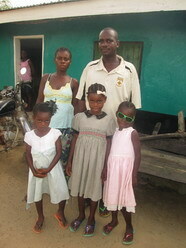 James Leeway and his family are a great help to Ma Mary, his mother, who runs this center for malnourished children. This is the Feeding Center “BEFORE” the renovations. 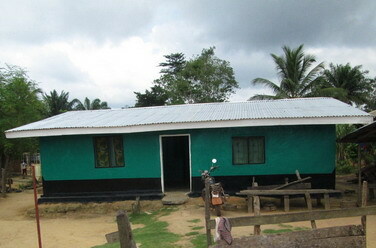 This is the FEEDING CENTER “AFTER” the renovations. The roof was leaking badly before we put on a brand new roof. James Leeway painted the building inside and out for $300 US. We are more than pleased with the workmanship of this place all for $1,100 US, not including the painting. 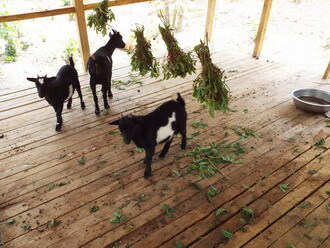 THE GOAT FARM IS PROGRESSING VERY WELL. 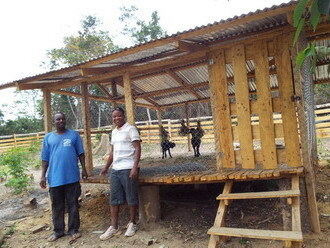 The shelter and fence are well built. 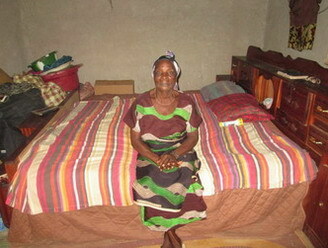 Mary Leeway and her helper would sleep on the floor. Today she has a very comfortable bed off the floor. A septic tank and toilet. They need a cement floor in the kitchen with ceramic tiles to cover the floor. 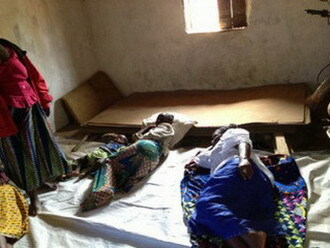 All this will help in the way of sanitation. We can do all this for $ 800 US which is a very reasonable price. 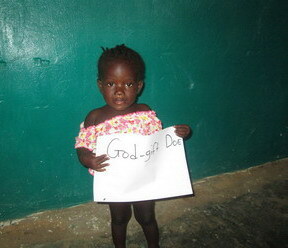 Anyone who wishes to donate for the Feeding Center we would greatly appreciate your help.